The Pens' blue line is hurting....literally. Christian Ehrhoff is out with a lower body injury. Jason Mackey of the Trib is reporting Ehrhoff no longer had a nameplate on a locker inside the Penguins' dressing room, although no corresponding roster move has been made. Not sure what, if anything, that means. Paul Martin has an undisclosed injury although coach Johnston has said there is a possibility he could play. If he can't go, I'm voting for Cousin Eddie to take his place....hilarious. 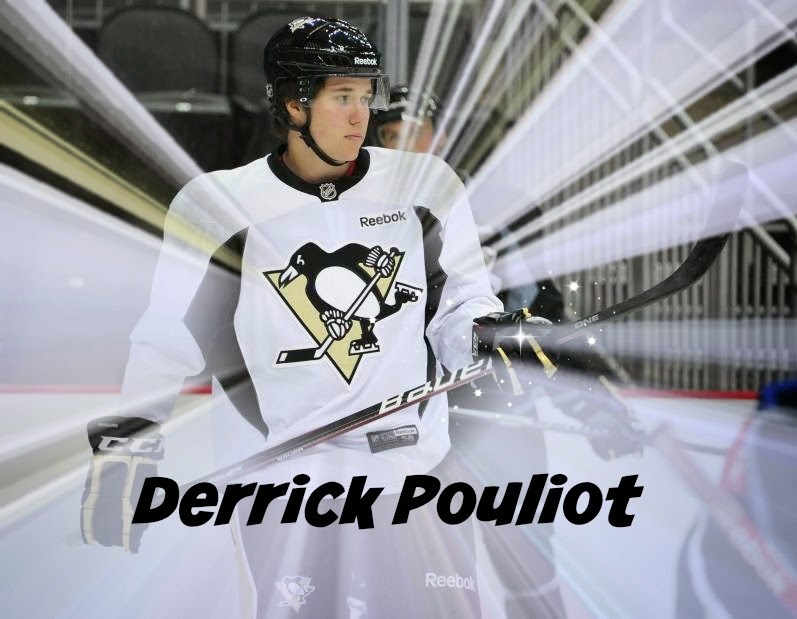 Derrick Pouliot was called up Saturday morning. I knew this because the clouds parted and the sun shined down over southwestern Pennsylvania. He will make his NHL debut and play on a defense pairing with Rob Scuderi. Pouliot is widely thought of as the organization's top prospect and is rumored to be protected from the lustful intentions of any other franchise. He has been on a tear in the American Hockey League, with seven goals and 20 points in 23 games. The Trib reported Pouliot worked on a second power-play unit this morning with defenseman Simon Despres and forwards Brandon Sutter, Steve Downie and Blake Comeau. 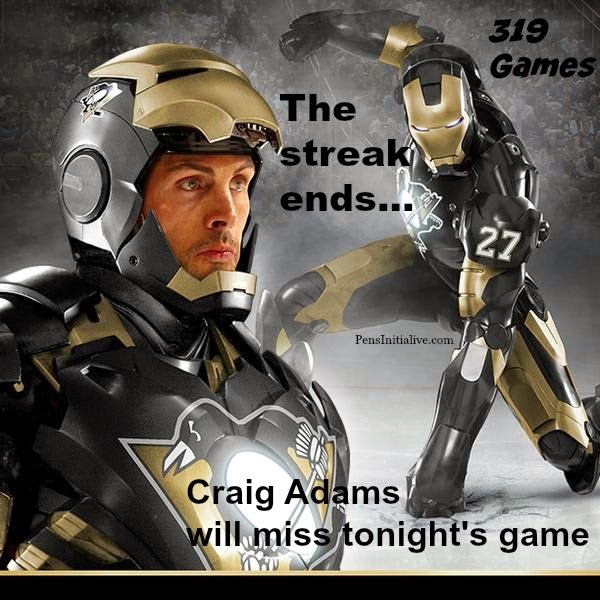 Also of note, Ironman Craig Adams will miss tonight ending his record 319 games played. Chris Kunitz worked on a No. 1 power-play unit with Sidney Crosby, Evgeni Malkin, Patric Hornqvist and Kris Letang. Officially, he is a game-time decision but is preparing himself as though he's playing.